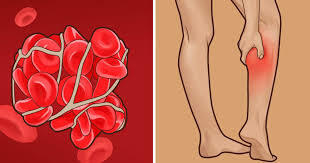 I recently audited my last 300 total hip and total knee procedures and was pleased to see that I have not had a single Deep Venous Thrombosis (DVT) in my practice (no known/clinical DVT – very small, sub-clinical inconsequential DVTs are theoretically possible). This is very different situation to what things were like when I was an orthopaedic registrar (trainee), when clinical DVTs were relatively frequent after major hip or knee surgery. DVTs are potentially very dangerous as they can break off, travel through the veins and then lodge in the lungs causing a Pulmonary Embolus (PE). A large clot lodged in the lungs can be fatal. This difference in DVT rate observed here is even more remarkable considering that I do not use any strong anticoagulants (such as Clexane, Heparin, Warfarin or Xarelto) in my practice, whereas DVTs still occurred fairly regularly despite chemical “prophylaxis” when I was a trainee. While I’m sure that less-invasive surgery has a role to play here (Direct Anterior Approach for total hip replacement and Patient-Specific Instrumentation for total knee replacement), I think it would be unfair to my anaesthesia, medical, physiotherapy and nursing colleagues for me to claim all the credit as the surgeon. Instead, I think the major other difference in my practice now, compared to my training years (apart from less invasive surgical techniques), is a vastly improved approach to anaesthesia and peri-operative pain control and medical management. Patients who wake up from surgery without pain and without nausea are able to be stood out of bed within hours of surgery. Patients who are not unnecessarily fasted for extended periods pre-op are not dehydrated or exhausted post op and are able to walk and participate in early physiotherapy. Patients who receive expert nerve-blocks or targeted sensory nerve epidurals pre surgery don’t need opiate analgesia post op and don’t feel sick or constipated post surgery. My practice places enormous emphasis on an “Enhanced Recovery” outlook in which patients are expected to be dressed in normal clothes, up and out of bed and ambulant within hours of surgery. The physiotherapists and nurses are on board our goal of getting patients independent and home as soon as possible after surgery rather than to inpatient rehab. This team approach and emphasis on rapid recovery and short hospital stay lets me avoid strong anticoagulants (we give only low dose Aspirin instead of strong anticoagulants) and still achieve a ZERO (to the best of my knowledge) clinical DVT rate post op. Avoidance of strong anticoagulants also the risk of iatrogenic bleeding associated with those drugs and patient satisfaction is also improved when patients aren’t told that they need to give themselves needles every day. It is possible to have a hip and knee arthroplasty practice with a zero or extremely low DVT rate. You just need to use less invasive surgical techniques and have excellent anaesthesia, medical, nursing and physiotherapy teams to ensure that your patients have very little pain, no nausea, and are guided to a short hospital stay with discharge home to independent living as soon as possible post surgery.